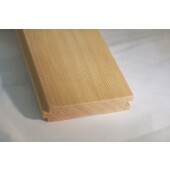 Douglas Fir has enjoyed a long career as a dependable and beautiful material for use in porch construction. 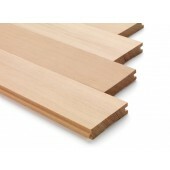 It is commonly used in the Pacific Northwest and Craftsman style construction. The products below are all tongue-and-grooved, kiln-dried and precision milled. 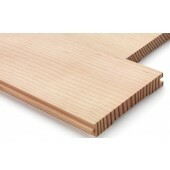 Properly sealed and cared for, Douglas Fir Porch Decking is a gorgeous choice that can last a lifetime. 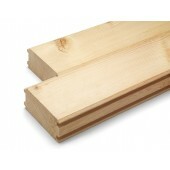 In the world of porch decking, Douglas Fir is the premium choice for historic and/or craftsman homes. 3 1/8" is the standard choice for most new or fully replaced installations. 3x6 WC305a Douglas Fir Tongue and Groove roof decking. Available in 4x6 or larger (1-877-640-4095). 500SF minimum order For orders less than 500SF please call 1-877-640-4095 For orders over 3000SF call for pricing. 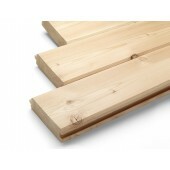 3 1/4" Douglas Fir Porch Decking is the product generally purchased to match a historic home or Craftsman Bungalow.